The NEI-3001 MK III interconnect utilizes Silver plating and patented UP-OCC technology. This multi-conductor balanced interconnect employs multiple PE air tubes along with a common plenum to control capacitive reactance. The braided OCC Copper shield works together with a Al-Mylar shield to both ground and shield. 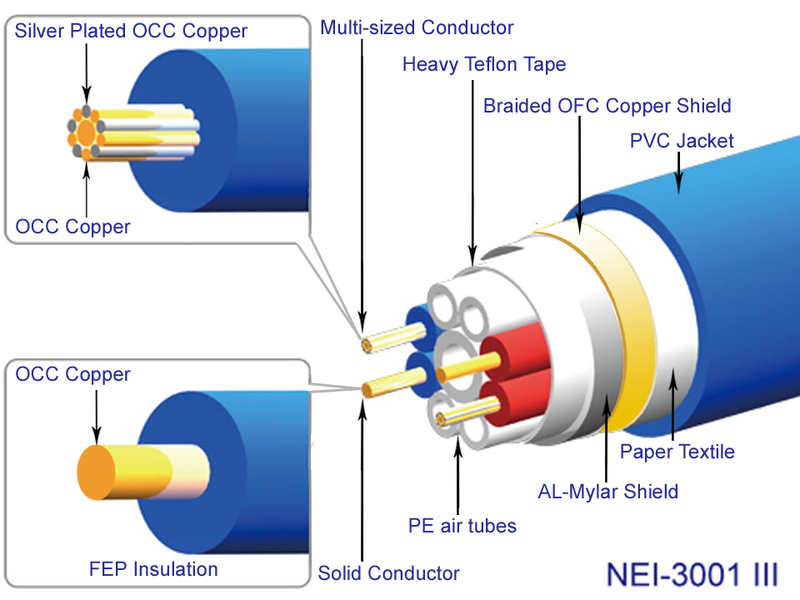 The NEI-3001 MK III is the best UP-OCC Copper based interconnect we offer. 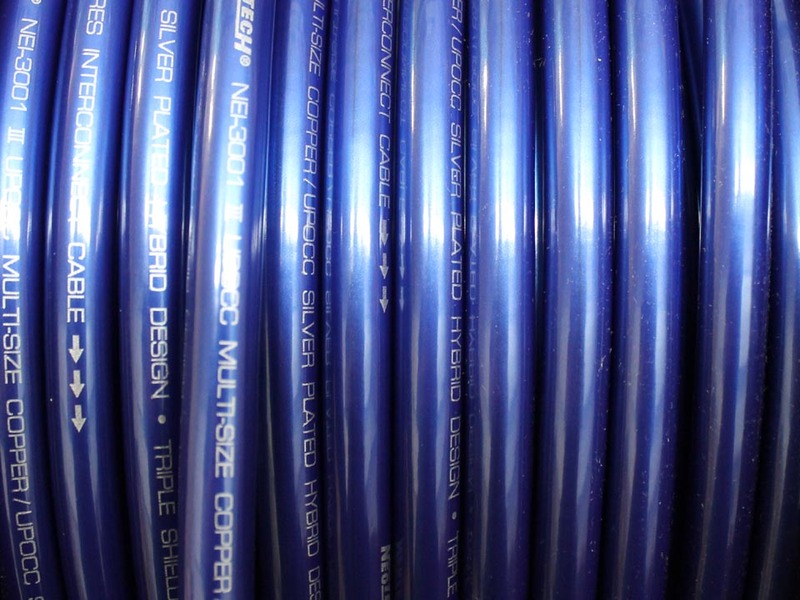 This balanced (XLR) cable also allows several different single ended (RCA) schemes. NOTE that only a few RCA connectors will facilitate the NEI-3001 MK III's 10.6mm diameter.